Kids looking forward to every practice. That is the wish of every soccer mom and soccer coach. It is definitely possible to make this wish reality. There are a few things which make practice a funny and attractive activity no kid will want to miss. Here is our Soccer Training Equipment List. 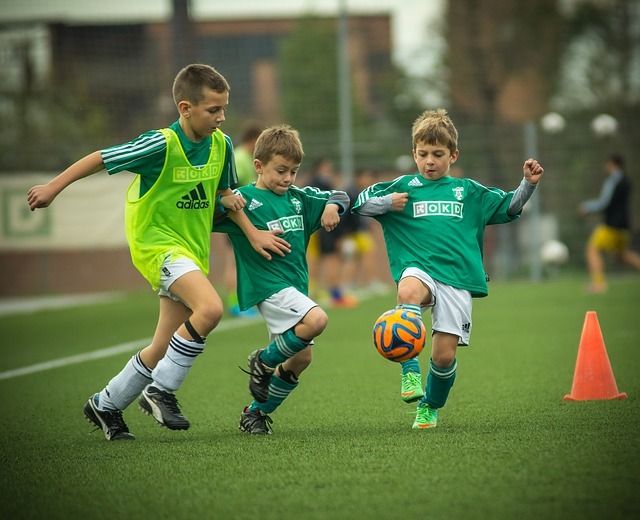 This equipment list is not just for regular soccer practices. These soccer accessories can make your backyard a unique soccer practice place. Kids will enjoy it and will not think about soccer in terms of “practice” but as a fun. And that is the best what you can offer them. Soccer Balls – You cannot play soccer without at least one soccer ball. But it is important to have more soccer balls available for practice. Check our guide for the best soccer balls here. Portable Soccer Goals – It is good for kids to play on smaller fields to make games more attractive. There are a lot of different portable soccer goals available and we discussed all details about how to choose the appropriate portable soccer goal for your practice or backyard here. Soccer Cones – Cones are the basic equipment for any soccer practice activity. They have numerous uses (e.g. border the practice field, practicing ball slalom, improve leading the ball with them). They are made out of plastic and you can find bigger cones (the same like “traffic” cones) and the smaller disc cones. Agility Ladder – Ladder can be used for improving speed, balance, stability, and reflexes. The best models of agility ladders have adjustable distance between rungs and steel pins for keeping the ladder in place. You can build a fun obstacle course for your kids and make the practice session interesting all afternoon. Hurdles Training Set – Hurdles are good for improving footwork and speed also for soccer players. They are made out of plastic, so there is no danger of injury. You can choose from different hurdles sizes for different age category of players. Soccer Pinnies – In every team sports you need to distinguish between opposite teams for practicing tactic. There is no better solution than using scrimmage vest or soccer pinnies (more details here). Every aspiring soccer coach needs a few items, which will give him comfort and respect. Check our Soccer Coach Equipment list of necessary items and become a perfect soccer coach. Coach Whistle -A must thing for every sports coach who does not want to lose his voice. You can choose from plastic or stainless steel whistles. Someone say that whistle gives the coach respect. I say it is good to be heard during practice. Marker Boards – Coaching a more developed team or older kids need a lot of explanation. It is not just about the fun. Sometimes you need to build some tactical base and show who, where and when should play. There is no better tool like marker boards. You can choose from magnetic boards (with magnets) or clipboards. Both types usually feature marker pen and eraser to help draw and explain what you need. Stopwatch – Elegant watches on your wrist is one thing, the useful time assistant is another thing. Stopwatches will make any time exercise much easier and you will appreciate them in every practice. Looking for help with coaching and tactics? Check our best soccer books for tactics and coaching article.